This basic math activity encourages your child to create her own math problems. 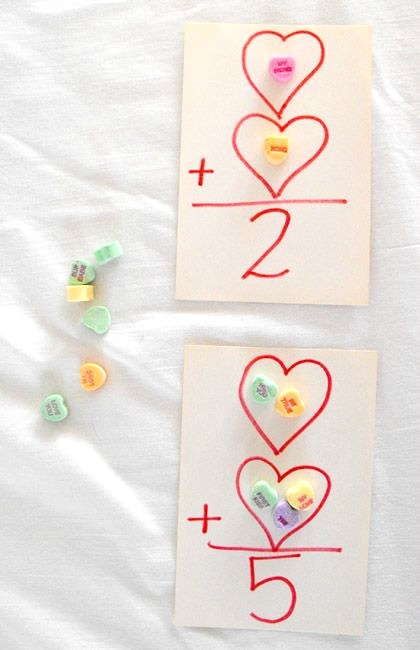 All you need are index cards to make simple math flash cards and Conversation Hearts to use as markers. Soon your budding mathematician will be adding, and nibbling, to his heart's content. Use the index cards to make a set of flashcards. You'll need to make one card each for sums 1 through 10 (see photo). 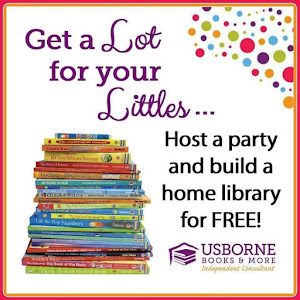 Bring your child in and give her a bowl of Conversation Hearts to use as tokens. 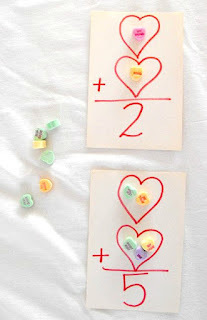 Encourage her to fill in the blanks on each card with any number of hearts that will equal the sum written on the bottom of the card. You may need to coach her through “1,” since there is only one heart in the first blank and none in the second (or vice versa). Zero can be a tough concept to grasp. Each time your child fills in a card, challenge him to come up with a second way to represent the equation. The equation 1 + 0 can become 0 + 1, while 1 + 1 becomes either 2 + 0 or 0 + 2, etc. If he can come up with a second solution, reward him with a candy. Keep going until he has come up with at least one answer for each card. 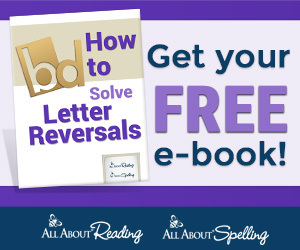 Once he masters basic addition, create a second set of cards. You can stay with addition, making cards for sums 11 through 20, or you can move on to subtraction with cards for differences 1 to 10. If you make subtraction cards, be sure to mix these in with the first set of addition cards. This will encourage your child to look at the operation (+ or -) before solving.